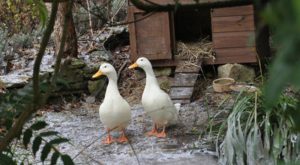 The photograph of the ducks comes from a venue in the UK where GBA taught several Being in Relationship Courses. The ducks are called Eddie and Betty. Whilst GBA was teaching a Relationship Course Betty passed away. The two little ducks had many years of relationship. Ducks mate for life. Betty had a small burial service by the river and for a while Eddie sat by her grave. After a while he kept wandering around, quacking and looking for her. The hotel tried to find him another mate, and it didn’t work. 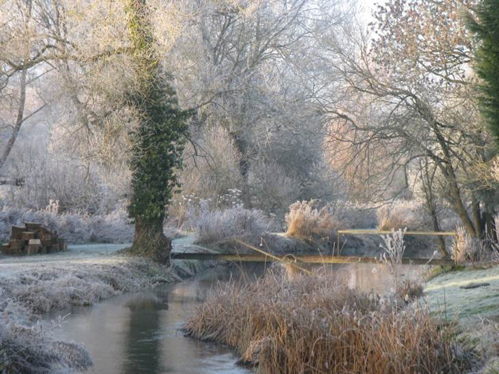 In the end he wandered off down the river and through the fields and was never seen again. The hotel has now replaced Eddie and Betty with a new pair of ducks. Throughout our Relationship courses Eddie and Betty truly demonstrated to all of us how their life-long partnership would have had so much caring, companionship, beauty, harmony and loving commitment. They offered all of us the greatest demonstration of purity in Relationship. The GBA Being in Relationship Course™ provides practical skills, experience and understanding which empower people to transform the quality of relationships in their day to day lives. The core concept of GBA Programs is that of Transformation rather than of Change. The dictionary defines Change as a substitution or succession of one thing for another, a variation in consciousness for ourselves as human beings. Transformation in Relationship requires a process of recreating the internal structure of our consciousness, altering it in an expansive, integrative, evolutionary direction the root perspective from which we perceive reality. Within the Being in Relationship Course™ participants look at any barriers they may have in Relationships. The first step is to be aware of these barriers in order to choose or not choose to fix them. Participants are given an opportunity to become aware. All that is needed is a map. The Journey into Higher States of Relationship requires participants to recognise that they have barriers, mind-sets, attitudes, and behaviours that may cause dissatisfaction in Relationship. Success is already achieved when these barriers are recognised and a person is at choice as to what they wish to do with them. What this does is recognising that I myself have this barrier, this mind-set, this attitude, this behaviour, and I choose to handle it or not handle it. One choice brings freedom, the other perpetuates difficulty and unhappiness. If there are dreams about beautiful Relationships, there are roads that lead to their goal. Two of these roads could be named. Goodness and Forgiveness. Participants are invited to focus on what they wish to achieve in regard to Relationship. They are offered the opportunity to create an intention outcome. This is their map. Throughout the course the intention constantly evolves in regard to what they wish to achieve, let go of, heal, move through, complete. Transforming Relationship requires a transformation in the concept of what we are and what the factors are that make our life as it is. It requires the ability to stop blaming others for the way we feel. It requires us to cease to be a victim of circumstances and that our emotions become choices – NOT – something that happens to us. Participants are given skills that enable them to be motivated rather than remaining in a place “hoping it will happen”. Other areas of focus include how to discover mutual Respect, Love and Compassion, how to become “Complete” with our Parents, our siblings, extended family, friends, working colleagues, etc. The course takes a deep dive into “Being in Relationship” within Marriage and Partnership. Course participants are given the opportunity to master deep relaxation. This is achieved through the knowledge of how to Master Stress, Tension, Anxiety, Fatigue, through altered Brain Wave States. Grief and Loss are fundamental experiences in Human life. We experience the emotions of Grief and Loss when something we value is taken away. The Loss of Love, the Loss of Value, the Loss of a home, one’s country, our work, redundancy, are the challenges we face in life. Recent research has shown that there is also a growing awareness that losses can provide the possibility of life-enhancing transformation as it becomes possible to integrate the lessons of Loss and Resilience into life. Many previous participants who have attended the Relationship Course have made incredible breakthroughs in the resolution to Loss. The photographs above give a sense of the energy of Relationships moving from the life challenge of Grief and Loss, towards a gradual healing, resolving the past, opening up new possibilities, thus reclaiming Inner Completion and Inner Peace. 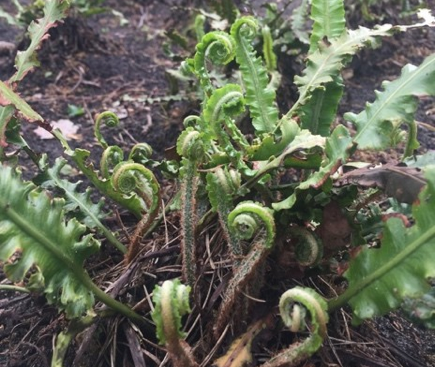 The closed fern holds the possibility and probability within in it, to open up into the fullness of itself. The human being has the same possibility and probability, to let go of the past. The open fern, as do people being in a healed Relationship, holds the actuality of the result. The Being in Relationship Course is a particularly important and powerful foundation for anyone considering training as a Facilitator of Transformation. Those wishing to develop their coaching skills, consultants requiring more highly aware empathetic relationships with clients and leaders require advanced relationship skills for use in all interactions with others. The facilitation of Transformation also requires advanced relationship skills. The specific content of this course offers deep insight into the Ego-Centric Reality. This study enables participants to become aware of and transform those dysfunctional patterns in relationships that block empathy, flow and compassion. Facilitating Transformation in others requires these skills to be at the forefront of any teaching. 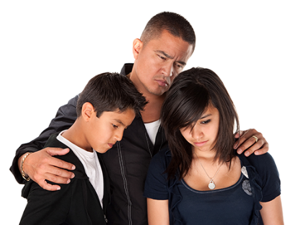 The Being in Relationship Course attends to events and people who are held in a person’s past and present. Through deep work on Forgiveness, experiences held in the past and/or the present, are released. From a profound viewpoint of the integration of male and female energies within, a teacher, facilitator, coach, leader acquires new and empowered communication skills, in Relationship. They are enabled to empathetically know and feel others, without barriers. They also acquire a new and deep comprehension regarding the Amygdala and how it influences perception, and thus the respionse to life challenges. Participants study in-depth how experience creates the early hard-wired programming of consciousness. This knowledge is an important component of all GBA programs. Potential Facilitators of Transformation will find that this knowledge is intimately integrated into the core modules and session plans that are part of the GBA Facilitator Development Program™.